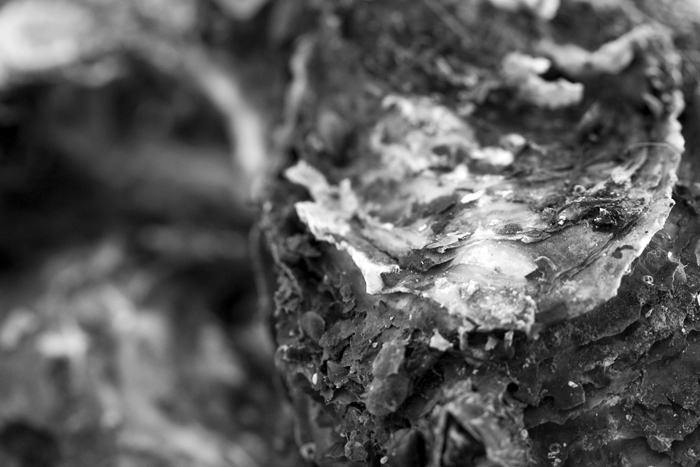 Barbara Heide | all galleries >> MAIN GALLERY >> Archives 2006-2009 >> black and white >> Monochromes > oysters anyone? Very cool shot! Makes for a great macro. I have to admit though I only like them when they are just a little bit cooked! Super capture! Great macro work here Barbara! No thanks... but wonderful textures and tones! Nice details and textures...and did you find a pearl? Interesting photo! I love oysters! No thanks! Love the textures here. Pretty intense image... takes some time to "digest"
Love those textures. No, I'll pass....don't quite like them. But, they sure are cool and I love the layers of shells you have going on there....great abstract! I'll take a dozen on the half shell, love them! Great photo!!! I'm with Doug! Beautifully shot, great DOF. Mmm, with a large glass of Guinness!! Yes please ;o))) Super shot, love the details you've got with this close up...well done, Barbara! I like a good fried oyster sandwich. Tough to open... good to eat... Great texture. Great close-up of this tasty treat! Oh yes I´ll take some, just love claires de fines..hard to open sometimes! No thanks too, But a great B&W detail !